which looks at cancer in a whole new light! For people with cancer, carers, practitioners and all those who just want to stay healthy! An inspiring and empowering event, which looks at cancer in a whole new light. For people dealing with cancer, carers, people looking to prevent it, as well as professionals working within the field of cancer. Many people feel helpless and fearful in the face of cancer. No matter what your situation, you will leave this weekend feeling empowered and inspired! 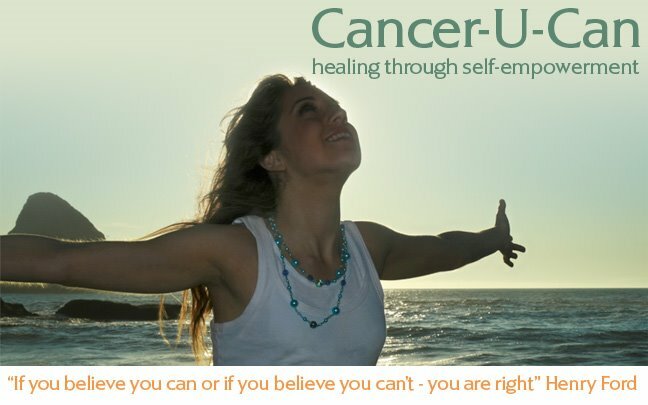 On Sunday, come and listen to eight people who have all healed themselves completely from cancer using combinations of conventional treatments and complimentary methods, including nutrition, emotional release, EFT, PSYCH-K and more: Fiona Shakeela Burns, Ginny Frazer, Nuro Weiderman, Nadia Brydon, Madelliene Smith, Lucy Lattimer, Rosa Hughes and Tarisha Seligman. The cancers overcome include: Leukaemia, Sarcoma, Breast cancer, Cervical Cancer, Stage 4 Melanoma and Non-Hodgekins Lymphoma. Ginny, Fiona and Madeliene all had stage four cancer with a terminal prognosis. There will be workshops as well on both Friday and Saturday. Get Well - Stay Well! Shakeela recovered from ‘terminal’ cancer twice (Leukaemia as a child and Cervical cancer which had spread to ovaries and brain as an adult). 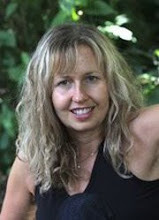 In both cases, she declined conventional medicine – turning instead to diet, vegetable juices, herbs and energy psychology treatments. Now fit and healthy, her delight is to pass on to others some of the valuable information she has acquired. Whether you are facing a health challenge or simply wish to remain well, this evening will inspire you! - A Ground-breaking seminar for practitioners, those dealing with cancer directly, and anybody who is fascinated by the power of the human body to transcend physical symptoms. Includes Epigenetics (the study of how factors external to the cell affect DNA - including thoughts), Herbal Remedies, Supplements, Dietary advice, Cancer Testing, Cutting-edge medical breakthroughs as well as accurate information regarding current medical treatments. This weekend seminar offers a truly integrative approach to dealing with Cancer and is based on personal experience, case histories as well as the latest research. There will be the chance to network with other practitioners working in this field as well as the opportunity for practitioners and patients to learn from each other. On Sunday, there will be the chance to listen to other people who have recovered from various cancers, including Non-hodgkins Lymphoma, Stage 4 Ovarian Cancer, Stage 4 Melanoma, Breast cancer and Cervical cancer. They will share with the group the key aspects involved in their recoveries. You are guaranteed to leave this seminar feeling highly inspired! Cost: £180 for weekend - includes refreshments, please bring your own lunch. This is a chance for people to come together and share information, experience and support each other. Open to people who are dealing personally with cancer, carers and others who may wish to join in. Please contact Fiona Shakeela Burns for further details and if you wish to book any of the above.